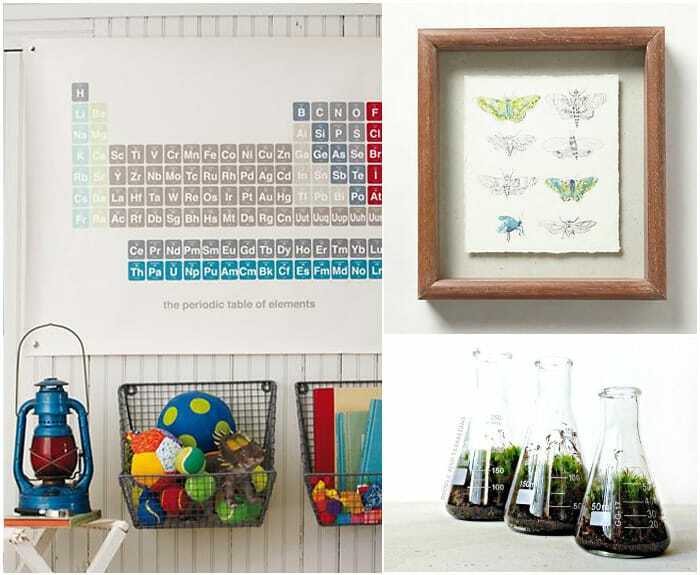 We’ve recently found ourselves completely smitten with science-inspired designs in the home – beakers, periodic tables, anatomy charts, microscopes – you name it, we love it. 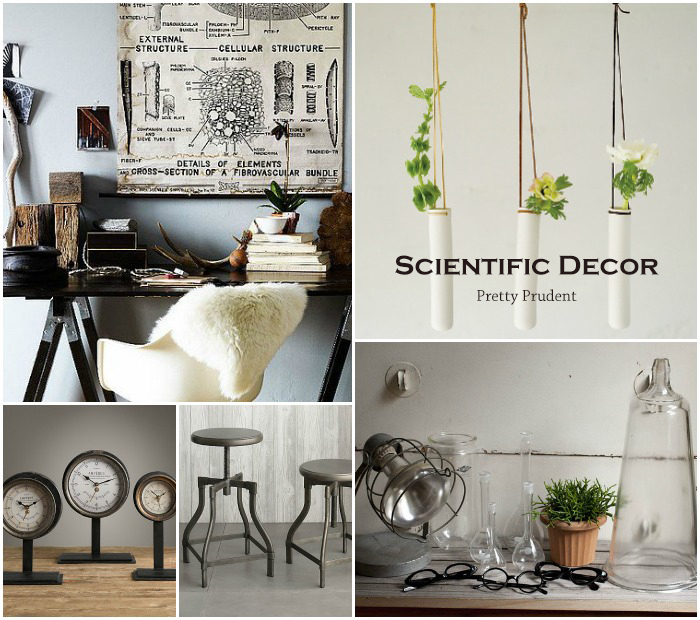 The great thing with scientific decor is that you can go for a vintage approach with the rustic metals, brighten it up with nature, and teach an educational lesson at the same time. I will also take any chance I can get to buy more glass jars, specimen jars are totally not the same thing as mason jars. If my hypothesis is correct you might be falling for scientific decor too? Redesign your office or work area with this Beautiful office from Miss Design in mind. Fill an empty space with scientific antiques like this 100-year-old science cloche photographed by Annie Klink. Keep time with a vintage-inspired meter clock from Restoration Hardware. Swivel up and down in a gunmetal bar stool from Crate and Barrel. Hang these stunning test tube vases from Pigeon Toe Ceramics on the walls for your guests to see as soon as they come in. Rock a pair of round glasses from Zero UV to look like a hip science professor. This science room on Hubsch shows off a great way to use antique filing cabinets to organize. The Kichler Desk Lamp from Lamps Plus is reminiscent of the classic style from back in the day. 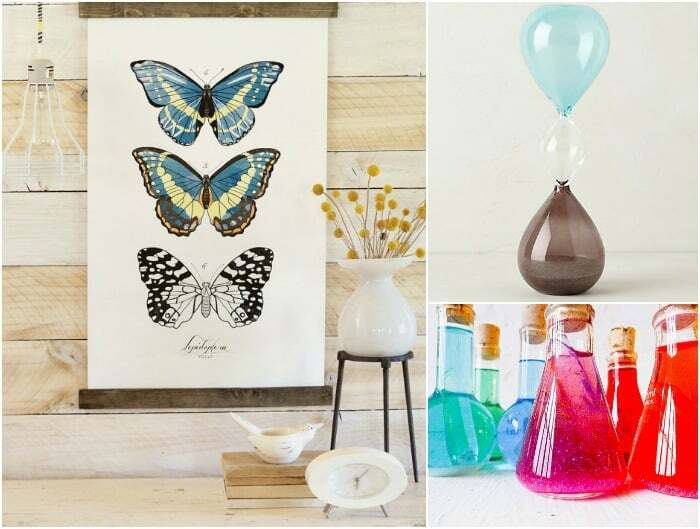 Hang an insect poster from Curious Prints on a blank wall, or buy a few to make a collage. Set an antique microscope from Hunters Alley on a side table in your favorite room. A graphically bold Periodical Table like this one from Land of Nod would look great in a playroom. Anthropologie has a great collection of framed flora and fauna in stock right now. 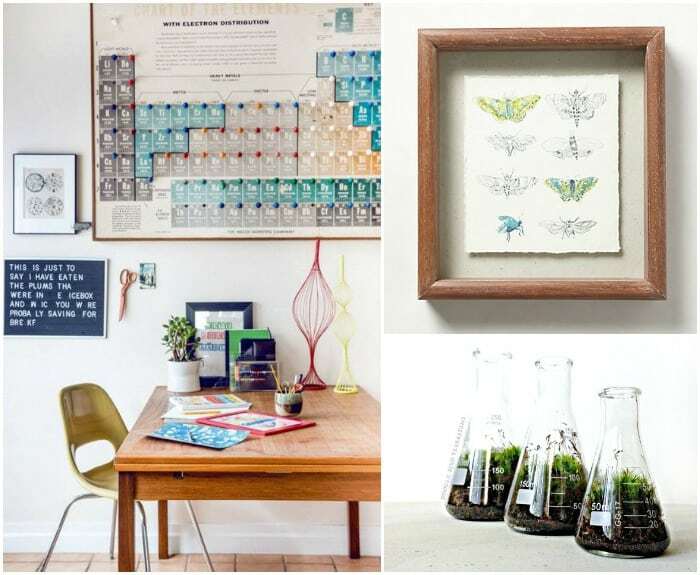 Fill an empty windowsill with beaker terrariums from Doodle Bird. There is even more beautiful artwork like this science poster at Vol25. The hourglass from Anthropologie makes watching time go by that much more pleasant. These science beakers from Earth Sea Warrior are filled with raw quartz crystal points that reflect rainbows on the walls. Yes, and yes!